It’s never too early to begin sharing books with your child. Children are born ready to learn, and developing early literacy begins at birth! Between birth and age five, children’s brains develop more rapidly than at any other time in their lives. Repeated experiences are essential for your child’s brain to develop the connections that lead to learning. Reading to children every day helps strengthen the connections that lead to success in reading. The number one way you can help ensure your children's success as a reader is to read with them! Ask our Youth Services staff for more information about early literacy and let us recommend books for you to share with your child! Stop into the Children's Room for our monthly calendar, with suggested early literacy activities for every day. 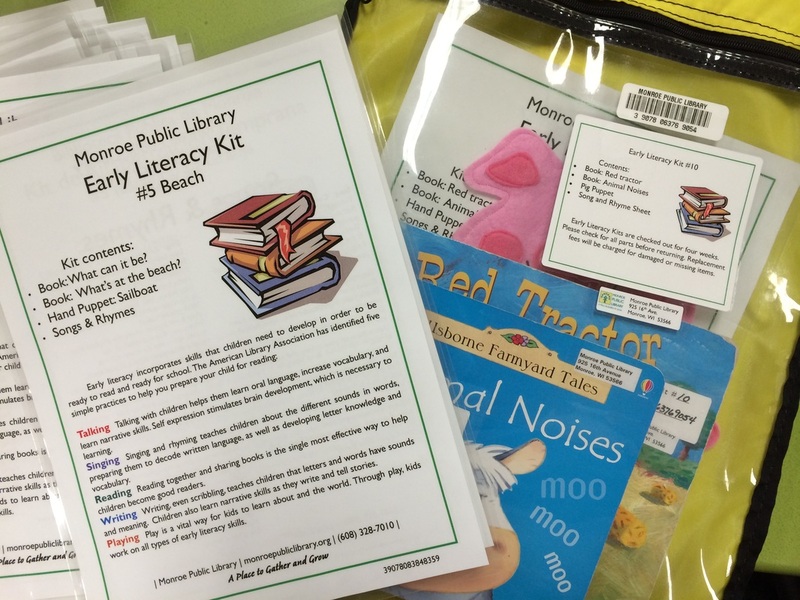 Check out our early literacy kits, with books, a puppet, songs and rhymes to share with your child. ​Need a story? Call the STORYLINE! Listen to a different story each month by calling us at 608-328-7024. 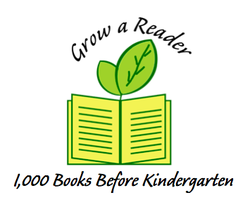 Read 1,000 Books Before Kindergarten and grow a reader! Talking Talking with children helps them learn oral language, increase vocabulary, and learn narrative skills. Self expression stimulates brain development, which is necessary to learning. Singing Singing and rhyming teaches children about the different sounds in words, preparing them to decode written language, as well as developing letter knowledge and vocabulary. ​Reading Reading together and sharing books is the single most effective way to help children become good readers. Writing Writing, even scribbling, teaches children that letters and words have sounds and meaning. Children also learn narrative skills as they write and tell stories. Playing Play is a vital way for kids to learn about and the world. Through play, kids work on all types of early literacy skills.